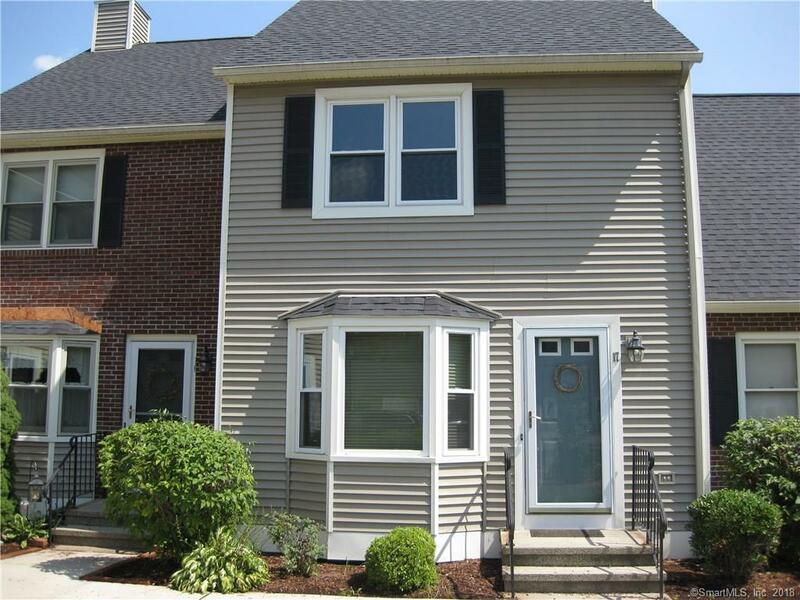 17 Cheltenham Court #17, Suffield, CT 06078 (MLS #170114050) :: NRG Real Estate Services, Inc. This is the condo you have been waiting for. Bamboo hardwood flooring throughout the first floor. Kitchen features granite counter tops, stainless steel appliances, and glass tile & marble backsplash. Crown molding accents add a unique touch. Large combination living room/dining room with sliding glass doors to the deck. Dark bamboo flooring upstairs in the bedrooms. Bathroom vanities have granite counter tops along with travertine and marble flooring. Brand new roof and siding. Condo also features central air and a Nest programmable thermostat. A finished basement offers additional living space. Convenient to highways and an ideal location for both Hartford or Springfield. A must see. Exclusions Tv Wall Mount in Living Room. Listing provided courtesy of Brenda Smith of Landmark Realtors.